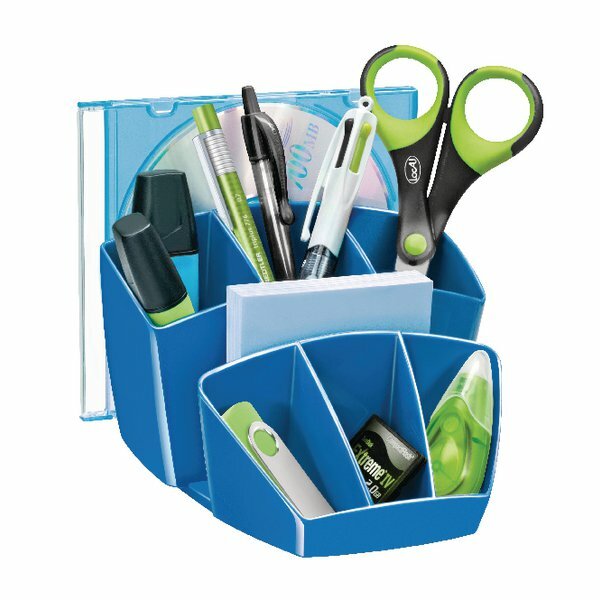 This CEP Pro Gloss desk tidy features 7 compartments for convenient storage of pens, highlighters, sticky notes, pins, scissors and more. Made from shock resistant, high impact polystyrene with a stylish, high gloss finish, the desk tidy also features anti-skid rubber feet for stability. 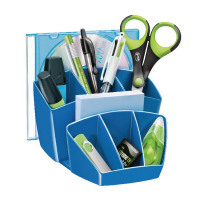 This blue desk tidy measures W143 x D158 x H93mm.